Artist's rendition of element 117, tennessine. In case you haven’t already heard, if you wanted to give your loved one that special, once-in-a-lifetime gift by naming one of the elements in row 7 of the Periodic Table after him or her, it’s too late (and probably against the rules anyway, but more on that later). With the recently announced official names for elements with atomic numbers 113 (nihonium), 115 (moscovium), 117 (tennessine) and 118 (oganesson), the all-radioactive row 7 of the Periodic Table is now complete. Included are two (thorium and uranium) found naturally, five that result from the radioactive decay of other elements—such as everyone’s favorite cinematic time machine fuel, plutonium—and 25 that can only be synthesized in the laboratory. The good news for those who would like a shot at naming an element is that there still may be a few seats left at the Periodic Table. Scientists are already hard at work, with some predicting that we will reach element 124 within a generation. 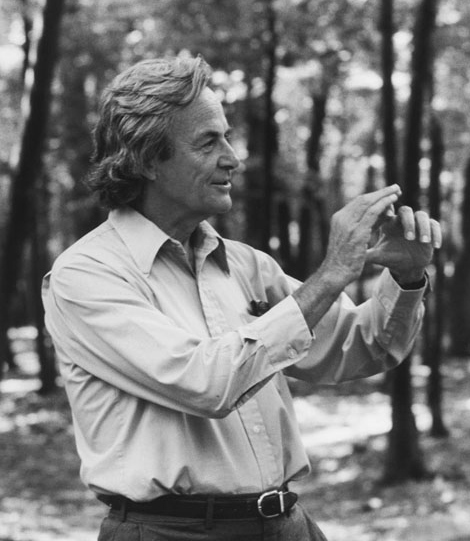 In fact, famed physicist Richard Feynman once surmised that the limit might go as high as element 137. My interest in “elemental nomenclature” is purely one of curiosity. I have always been fascinated by etymology, the study of word, phrase and name origins, so when I heard that the final four row 7 elements had been officially named, it spurred me to learn more about the naming process. What are the requirements for naming an element? First, of course, you need to discover a new one—and since every new element since 1937 has been artificially created, all that takes is patience, time, a heap of luck, and oh yes, a little something known as a particle accelerator. Once you have yours up and running, just smash together atoms of two elements and hope their nuclei fuse into a new element long enough for the proton total to be counted. For example, scientists in 2004 first synthesized nihonium (from the Japanese word “nihon,” which is what most Japanese call Japan, the place where the element was discovered), possessing 113 protons, by fusing zinc atoms, containing 30 protons each, with bismuth atoms, containing 83 protons each. Famed physicist Richard Feynman predicted that there could be as many as 137 elements, and he wasn’t joking … this time. The harder part may be convincing the International Union of Pure and Applied Chemistry (IUPAC), custodian of the Periodic Table, that you actually did it. Until the existence of a new element is verified, IUPAC assigns it a “placeholder” name using Latin digits that correspond to the candidate’s atomic number. In the case of nihonium, it was known during the 12 years between its discovery and official recognition as ununtrium— “un” for one, “un” for one and “tri” for three—or 113. Using the same specifications, the element that should have an atomic number of 119 is currently tagged with “ununennium.” (Try saying that five times fast.) Researchers in Germany, Russia and the United States have been bombarding the heck out of atoms since 1985 but haven’t yet hit the 119-proton jackpot. Who or Where or What’s in a Name? A scientist (So, sorry rock and rollers, the Periodic Table will never feature a “mccartneyum” or “springsteenium”). So, unless your loved one’s name conforms to these rules, you’re out of luck. And “Einstein” is already taken. The 118 elements for which we have names got them from 17 different languages, with Greek (47) and Latin (26) leading the pack. Among the more unusual languages represented: Scottish Gaelic for strontium, named after Strontian, a village in Scotland near where the mineral was discovered in 1790; and Old Norse being responsible for two names, thorium and vanadium, taken from Norse gods Thor and Vanadis. Eight cities have been the inspiration for element names but one, the tiny island village of Ytterby, Sweden, tops them all. This hamlet of fewer than 2,000 residents is the location of a now-defunct mine that yielded seven different elements, four of which take their names directly from the town: erbium, terbium, ytterbium and yttrium. The other three are holmium, derived from the Swedish capital, Stockholm; thulium, named after Thule, a mythic analog of Scandinavia; and gadolinium, honoring the Finnish chemist Johan Gadolin who discovered yttrium in an ore sample from the mine. In 1989, ASTM International installed a plaque at the former entrance to the mine, commemorating the site as a historical landmark. Sixteen scientists have had their surnames adapted for 15 elements in the Periodic Table (curium is named after both Pierre and Marie Curie) but two others are remembered for almost receiving chemistry’s foremost tribute. Soviet scientists lobbied in 1966 for element 104 to be called kurchatovium after physicist Igor Kurchatov, father of the Soviet atomic bomb. Researchers in the United States protested and suggested three years later that the element instead be named rutherfordium for Lord Ernest Rutherford, the Nobelist who discovered the atomic nucleus. More controversy ensued in 1970 when researchers at the University of California, Berkeley, requested that element 105—for which they claimed discovery—be named hahnium to honor German chemist and Nobel Prize winner Otto Hahn. Concurrently, a Soviet team—that believed it was 105’s rightful finders—suggested nielsbohrium in honor of the Danish nuclear physicist Niels Bohr, pioneer of the atomic structure theory. The East-West debate over these names became known as the Transfermium Wars—a pithy nod to the fact that it involved elements with atomic numbers higher than fermium. It took until 1997 before IUPAC could resolve the issue, giving the Americans one win by selecting rutherfordium for element 104, and the Russians the other by tabbing element 105 as dubnium after the city of Dubna, home of the Joint Institute for Nuclear Research. Bohr got his element when number 107 was named bohrium at the same time. Unfortunately for both Hahn and Kurchatov, they will never get seats at the Periodic Table. IUPAC rules state that any name previously used for an element, even if it is eventually replaced by another, cannot be used again. The frequency of microwave radiation from element 55, cesium, has been used by NIST and others around the world to define the second and drive atomic clocks like the current U.S. time and frequency standard, NIST-F2. Atoms of element 37, rubidium, were the foundation for creating a Bose-Einstein condensate, a fourth state of matter first observed in 1995 at JILA, a joint institute of NIST and the University of Colorado at Boulder. In 1931, NIST scientists produced America’s first quantity of liquefied element 2, helium—the ultracold coolant now used in magnetic resonance imaging machines, or MRIs. To honor the world’s 118 elements, including the four-newest, NIST created its own colorful, informative and, of course, accurate to the agency’s rigorous standards, version of the Periodic Table. Download yours today!